Effective meeting is one of the primary ways to develop team member relationships and bring all team onto the same page. Online team meetings keep members informed and provide a forum for problem solving, decision-making and innovation. 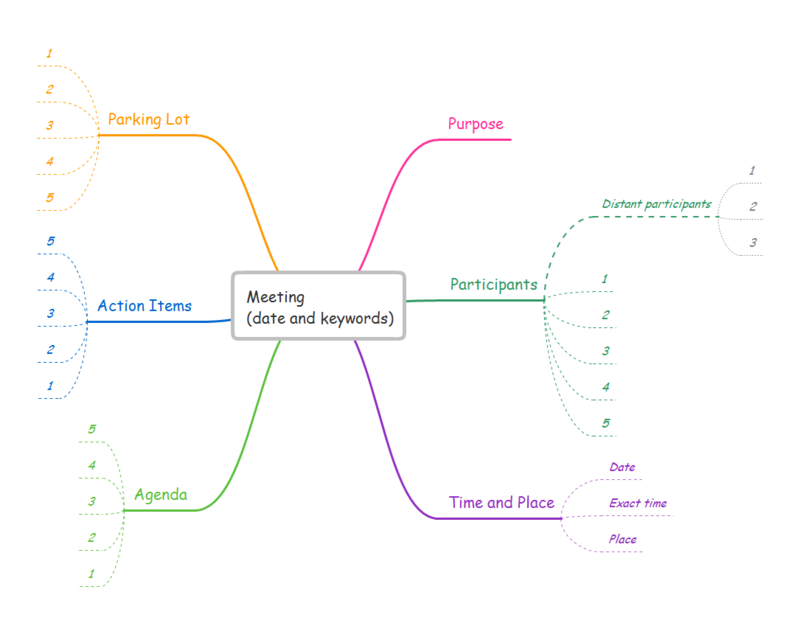 Meeting mind map template is created using ConceptDraw MINDMAP mind mapping software. This mind map example helps to learn how to use mindmap presentation via Skype for effective team meeting in small and medium business projects and enterprise workgroups. The features of ConceptDraw MINDMAP v10 has great value in depicting and describing a problem in detail as quality manager tool. Using ConceptDraw quality mind maps is a perfect addition to quality visualization in your company.